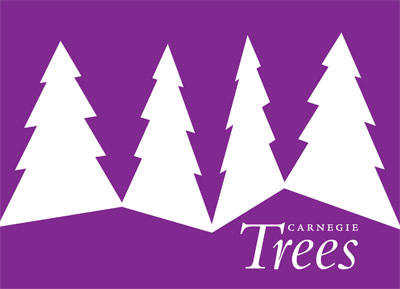 The Women’s Committee, Carnegie Museum of Art, requests the pleasure of your company to preview Carnegie Trees 2013: Embracing the Art of Play. Please call 412.622.3325 for purchases of ten (10) or more tickets. Online registration ends Tuesday, December 3, at 11:59 p.m.
A holiday tradition since 1961, Carnegie Trees is an annual event presented by the Women’s Committee, Carnegie Museum of Art. Six 20-foot Colorado spruce trees line the Hall of Architecture, each adorned with ornaments that celebrate a common theme. This year's trees are inspired by the exhibition 2013 Carnegie International. Online registration has closed for this event, but you can still join us! Tickets will be available for purchase at the door.